The Deloitte VAT Handbook is a comprehensive guide to the application of the provisions of the Value-Added Tax Act. 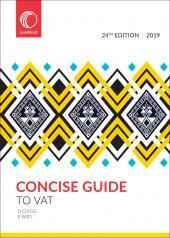 The commentary is practical and facilitates understanding of the mechanics of the VAT system. It is fully cross-referenced to sections of the VAT and Tax Administration Acts and indexed. The book includes the VAT Act and all relevant regulations, the Tax Administration Act as well as VAT interpretation and practice notes, binding general rulings and lists of class and private rulings, lists of VAT forms and SARS guides. Also includes a summary of case law dealing specifically with VAT issues. Updated biannually in print (11 ed) and annually in ebook and online (11 ed revised).